Our menu is comprised of tried and true customer favorites. However, if you'd like something you don't see on our menu - just ask! We will be glad to make just about anything to please you. Only the freshest ingredients are selected and purchased daily for Jennifer's Cafe. Almost all of our ingredients and supplies are obtained from local vendors. Our salads are a generously portioned for one or more people. However, please let us know if you would like to order the smaller portion of any salad. Romaine lettuce with white Albacore tuna, tomatoes, cucumbers, carrots & avocados, topped with purple onion, tossed in Italian dressing. 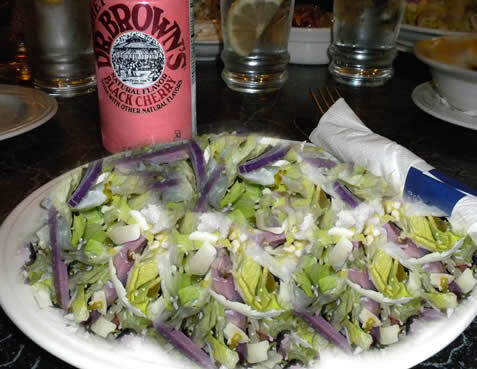 Shredded lettuce with julienne ham, poached chicken breast, Swiss cheese, sweet pickles, topped with purple onions & tomatoes, tossed in our own Maurice dressing. Romaine lettuce with gulf shrimp, mandarin oranges, tossed with a mustard vinaigrette dressing, and topped with toasted almonds. Romaine lettuce, char-broiled chicken breast, Parmesan cheese and croutons. Romaine & iceberg lettuce, char-broiled chicken breast, feta cheese, beets, cucumbers, tomatoes & purple onion. 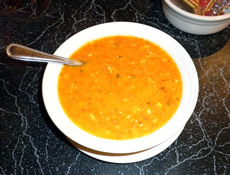 All entrees are served with your choice of soup or salad. * The Filet Mignon, Chefs Ground Sirloin, Tenderloin Tips, Children's Cheeseburger & Hamburger are cooked to order. Consuming raw or under-cooked meats increase your risk of food borne illness. 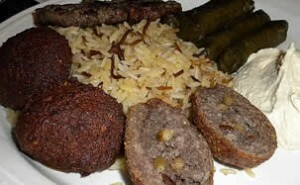 A blend of seasoned ground lamb, cracked wheat & pinenuts. 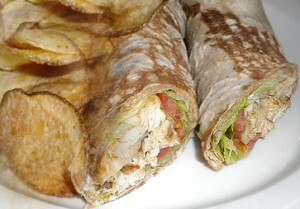 Wrapped in a thin pita with lettuce, tomatoes & Tahini (sesame) sauce. Seasoned ground lamb with onions & parsley. Wrapped in a thin pita with lettuce, tomatoes & Tahini (sesame) sauce. A vegetarian delight! Ground chick peas, fava beans, parsley, onions & herbs mixed with lettuce, tomatoes &Tahini (sesame) sauce. Wrapped in a thin pita. 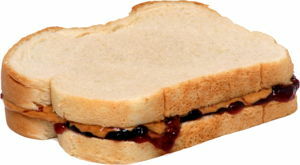 There is a $1.00 split charge for sandwiches, salads, and entrees. Jennifer's cafe is a very family-friendly place. We offer these choices for children under age 10. Desserts - For a great finish! ♦ Rice Pudding ♦ Baklava ♦ Tiramisu ♦ Carrot Cake ♦ White and Dark Chocolate Mousse Cake ♦ Ice Cream. Our desserts are fresh-made so selections may vary. ♦ Oatmeal Chocolate Chip ♦ Oatmeal Raisin ♦ Peanut Butter ♦ Peanut Butter Chocolate Chip. 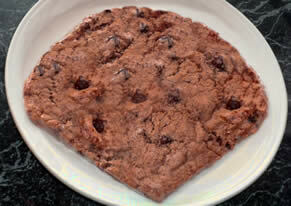 Our "Monster" Cookie -- Hugely Good!